Colours have played important roles in our lives and we all show different reactions to different colours. Our choice of clothes, interior decoration of homes and even purchase of items of daily use are effected by colours. 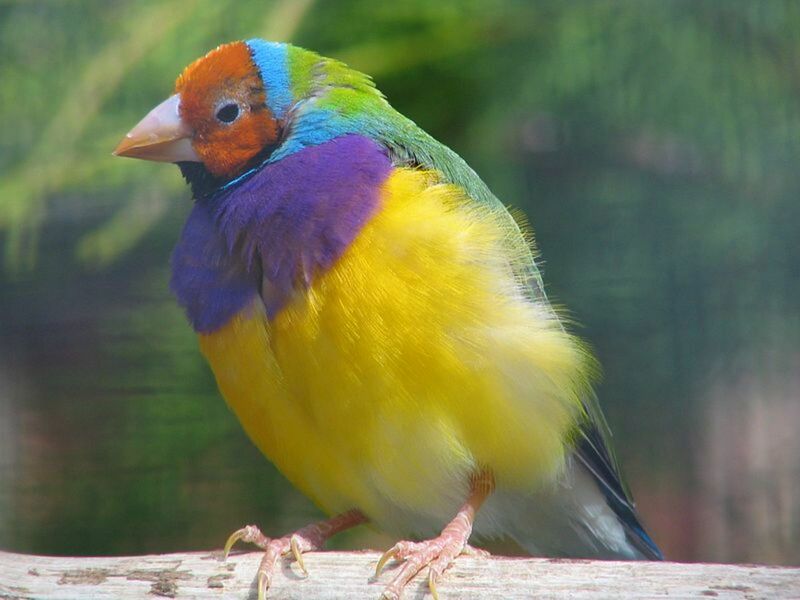 No wonder, we all love to see coloured birds also. Our preference of birds is inspired by colours and shapes of feathers, beaks and other body parts. 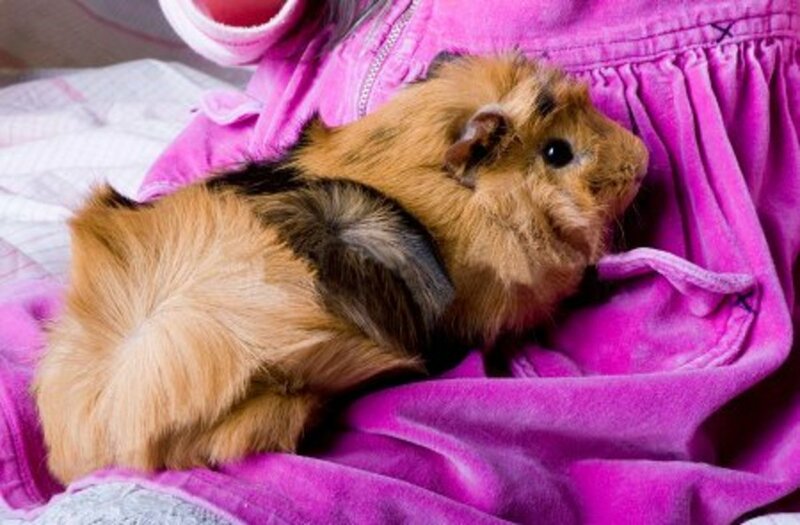 In addition, their social behaviour has encouraged us to have them as pets and they have found place in poetry and popular music. 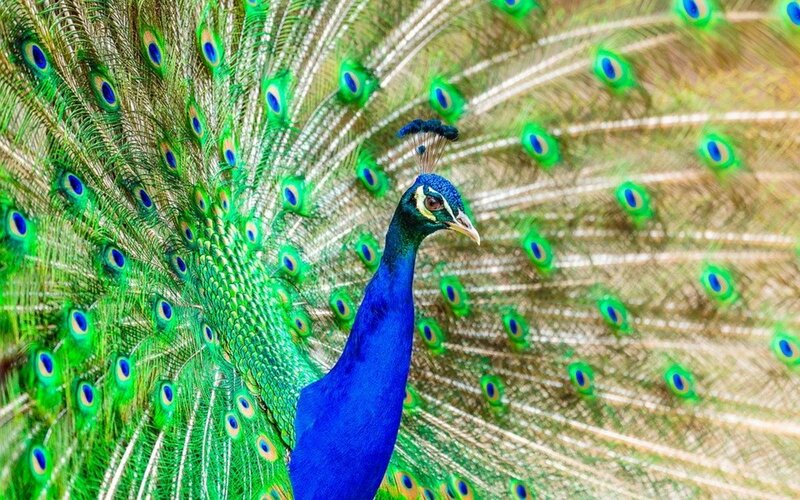 This Hub showcases 10 birds which are most colourful. Some videos highlight their other activities as well. 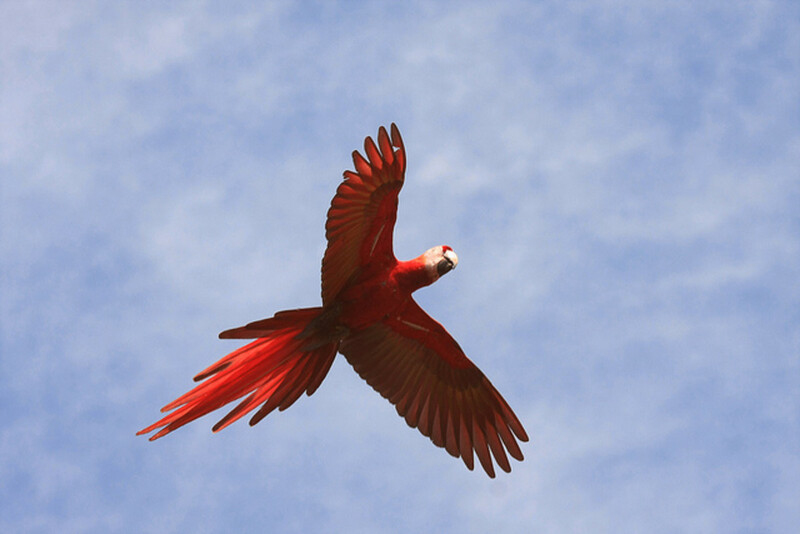 Native to tropical South America, Scarlet Macaw is a large sized parrot with very prominent red, yellow and blue colours. It has a whitish skin patch around it eyes and bill and has a very long tail. The legs and feet are black and the beak is dark black at the bottom though the upper part of it is light. The lifespan ranges between 4 to 5 decades but can be longer in captivity. They practice monogamy, make their nests in the hollow areas of the trees and both care for their younger ones. They can fly with high speed and often do it in pairs or in small groups. 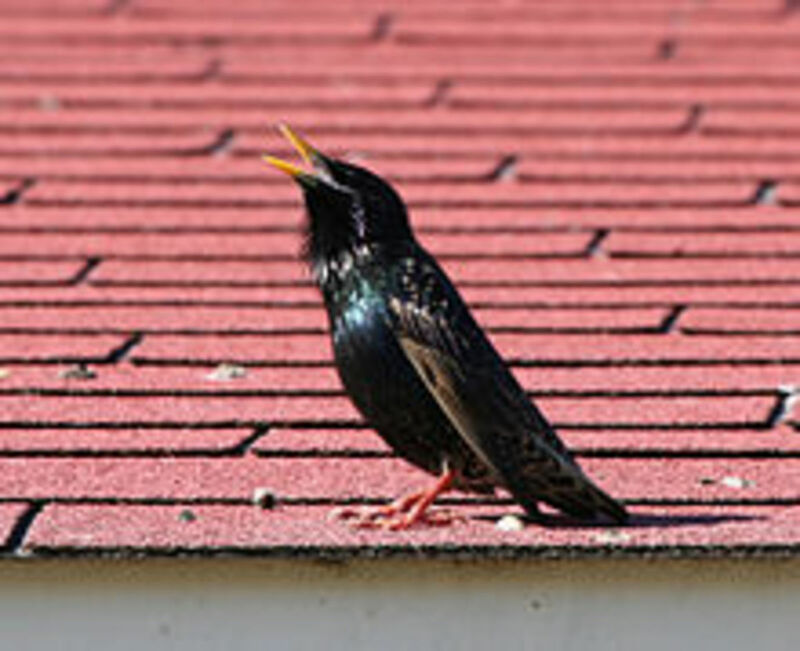 Their squeaks and screams can be very loud and noisy for communicating with their groups. Their diet comprises fruit (even before they are actually ripe), nuts and seeds. 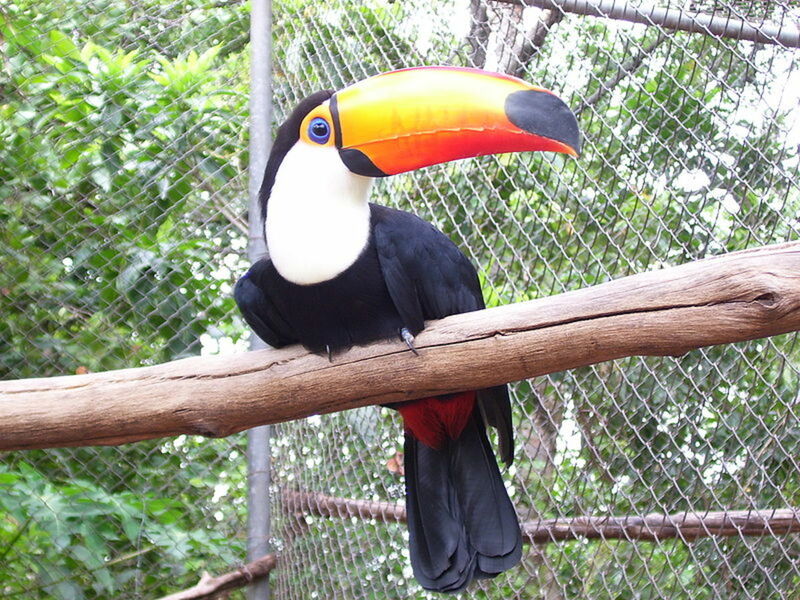 The popularity of Toco Toucan lies in its bill which is quite large and colourful too. There are forty different species and their bills of different colours are amazing. Contrary to the size which is normally more than half the size of the body and its shape the bill is more a deterrent than having actual combating capability. Their legs are short and strong and the toes are peculiar, the first and the fourth toes are turned backwards. They like to eat fruit, insects and even small lizards. They live in tree holes and in small flocks. 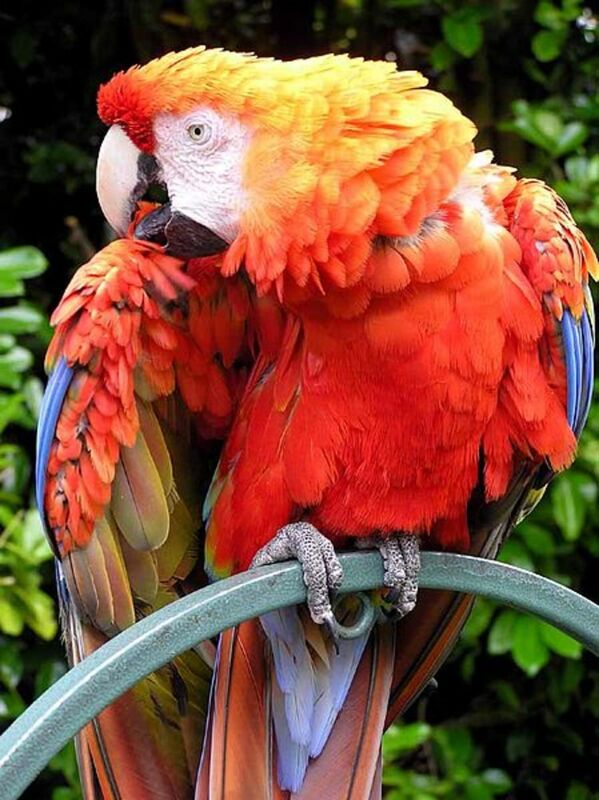 They are natives of South America's tropical forests. 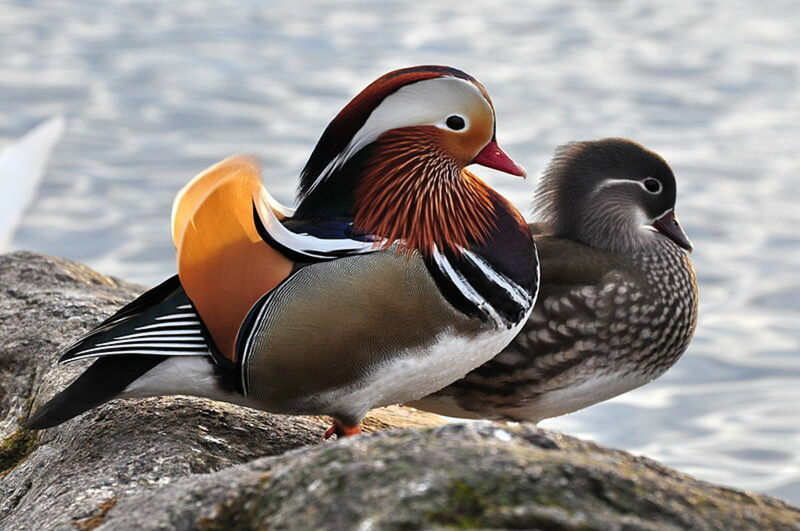 One of the most striking colourful perching duck, Mandarin is an East Asian medium-sized duck. Male can be easily recognised because of three distinctive colours of body parts - bill is red, white crescent above the eyes and reddish face. Two vertical white bars on the purple coloured breast make this duck even more striking. Female ducks lay eggs in cavities in trees, normally chosen near shallow lakes. 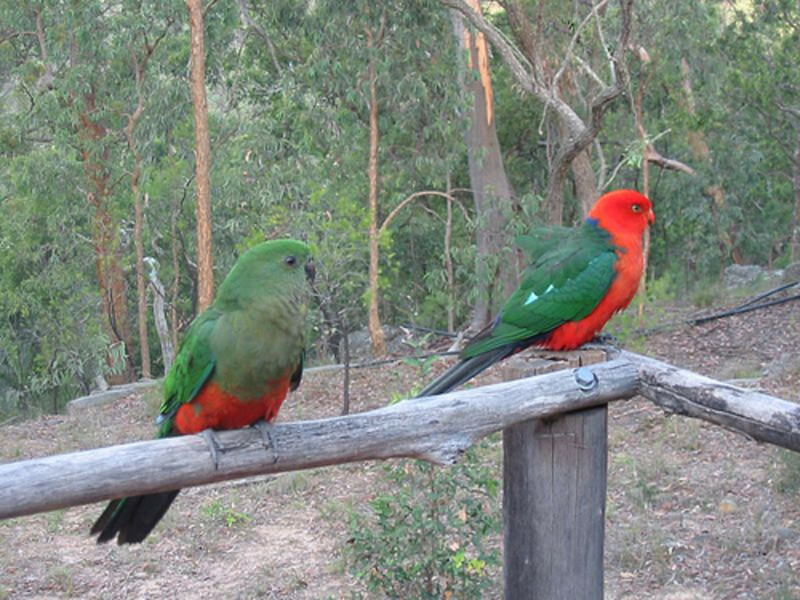 The males defend during incubation. 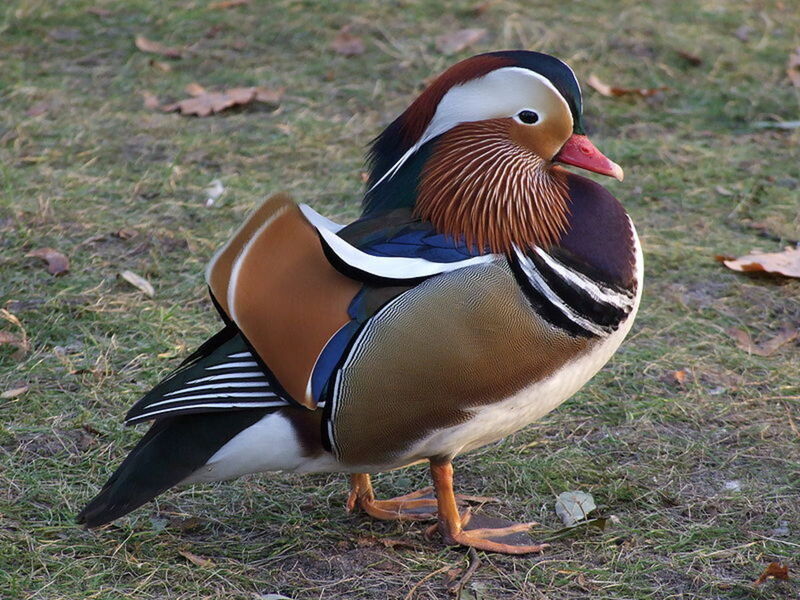 Migration to Eastern China or Southern Japan is observed in Asian mandarins. Insects, snails, small fish, plants and seeds form their diet. 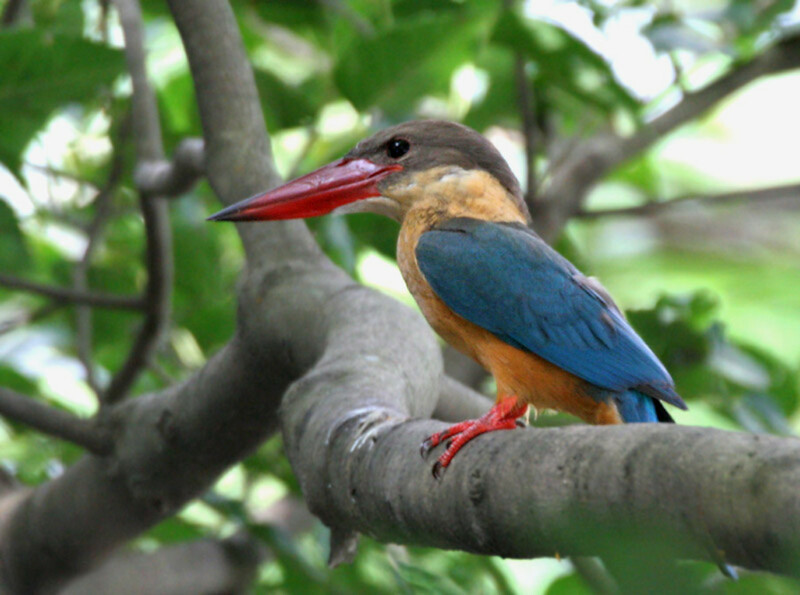 Stork-billed Kingfisher is one of the most popular tree kingfisher in the Indian Subcontinent and Southeast Asia. 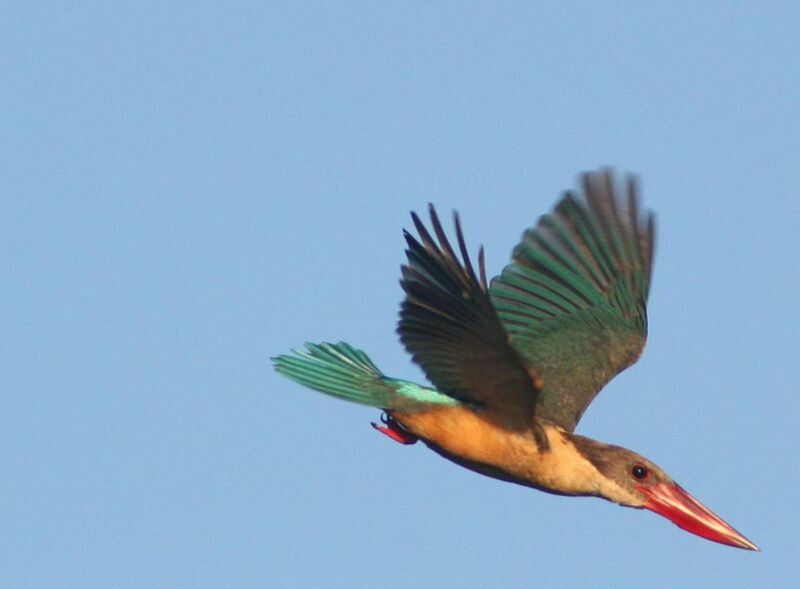 It is big beaked as compared to its size and has a combination of colours. Normally it has green back and blue tail as well as wings. Legs are bright red and so is the peculiar large and beautiful bill But the plumage pattern may vary in the 15 races and the area where it inhabits which is around rivers, coasts and near lakes. They will perch on a tree branch and hunt fish, crabs and frogs by diving down suddenly. 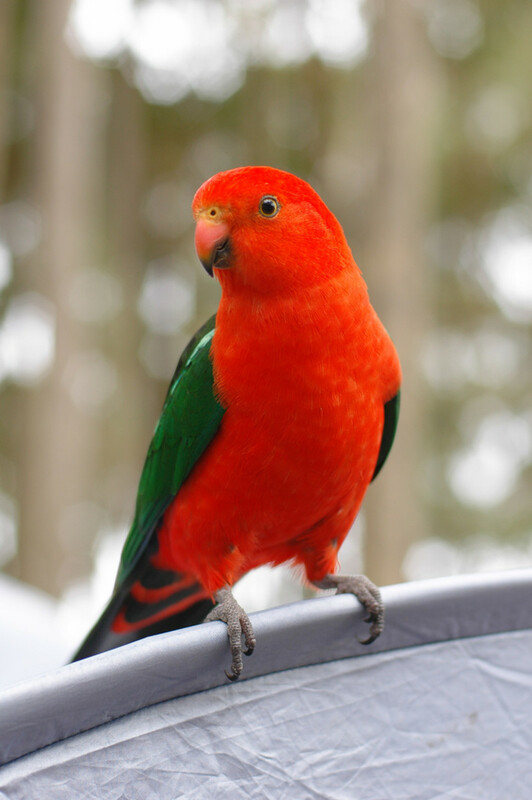 With male conspicuous by the red head, breast and lower undersides, the Australian King Parrot remains one of the most colourful birds in Eastern Australia. 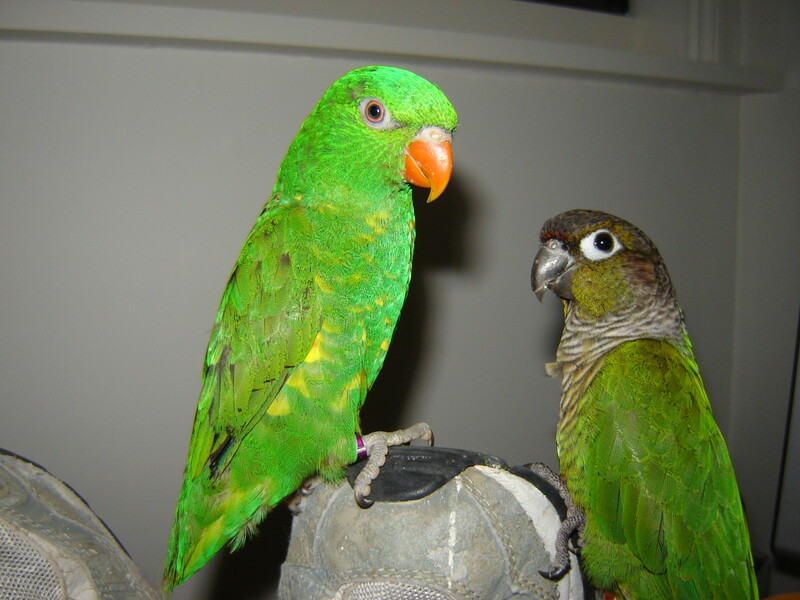 Female parrots have strikingly different green head and breast with grey beak. Fruits, seeds and small insects are their diet while inhabiting in pairs or in groups in humid and heavy forests in the eastern coasts and ranges part of the Australian continent. They are sedentary and lay their eggs in hollow trunks of the trees with high entrances. Pink plumage and spatulate pale grey bill makes this huge bird quite distinctive. It has white feathers at neck, chest and upper part of its back but the legs and eyes are red. 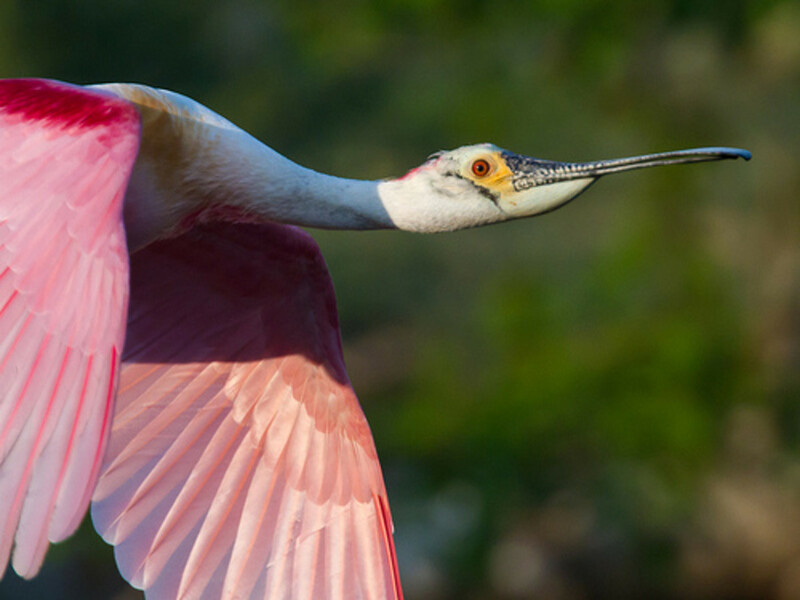 Gregarious in nature, this most striking and wading bird of North America is found in ponds, marshes and swamps. They keep their bill partially submerged to catch small fish and amphibians in the shallow water. Three cream coloured eggs laid by the female have incubation period of about three weeks duly shared by the male. 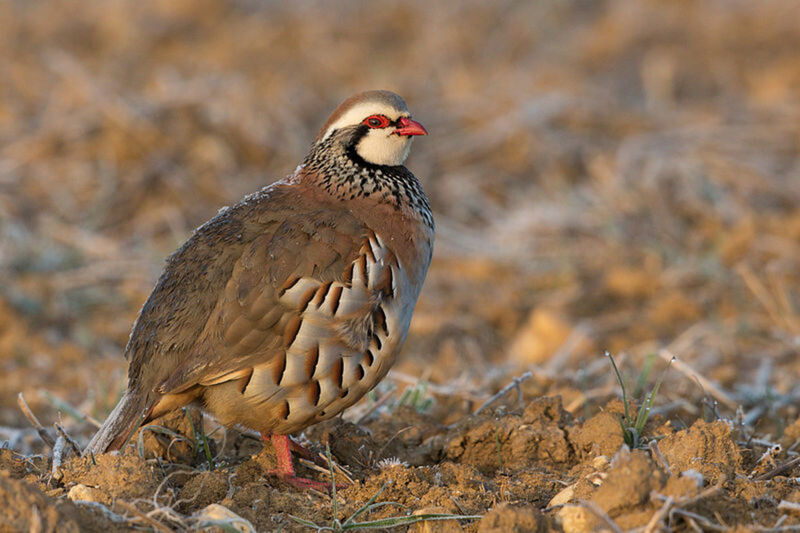 Red-legged Partridge is a bird which can be found on farmlands. 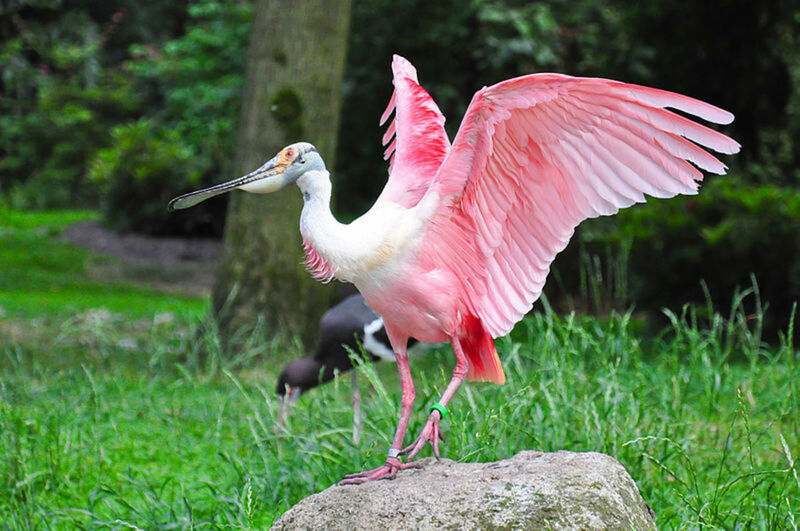 Pink-red legs and a small bright red beak with red ring around eyes make it quite attractive. It has creamy white upper throat and chin. It is a game bird and lays eggs on the nest made at ground. Also this species eats seeds and small invertebrates. Running instead of flying is its peculiarity though it has capability to fly for short distances. Another gregarious species, Vulturine Guinea fowl is a large bird with very small head. 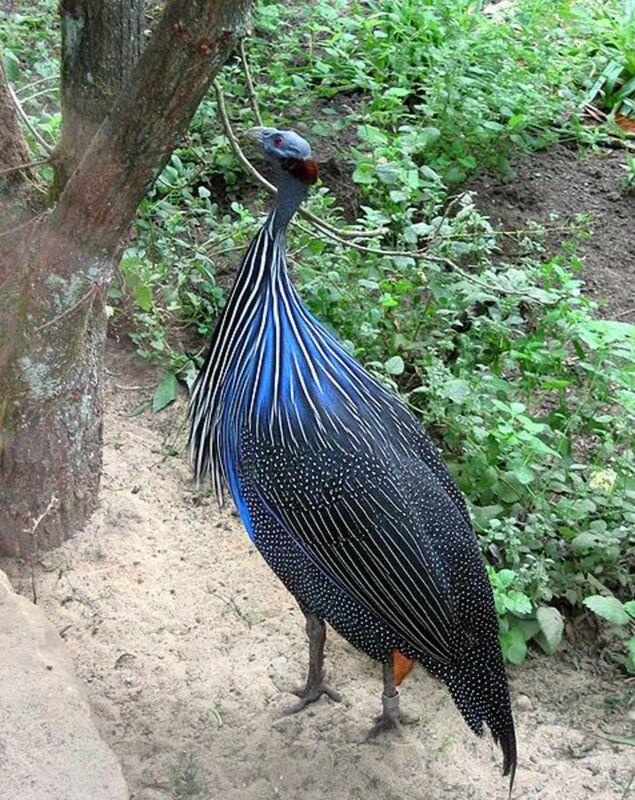 This species is striking because it is taller than other guinea fowls and makes peculiar sounds. It has blue upper back and breast and bluish gray band of short chestnut feathers around neck. When challenged it prefers running rather than flying. Hens lay cream coloured eggs in thick grasses, bushes or trees. They are found in northeast Africa, Ethiopia, nothern Tanzania and Kenya. 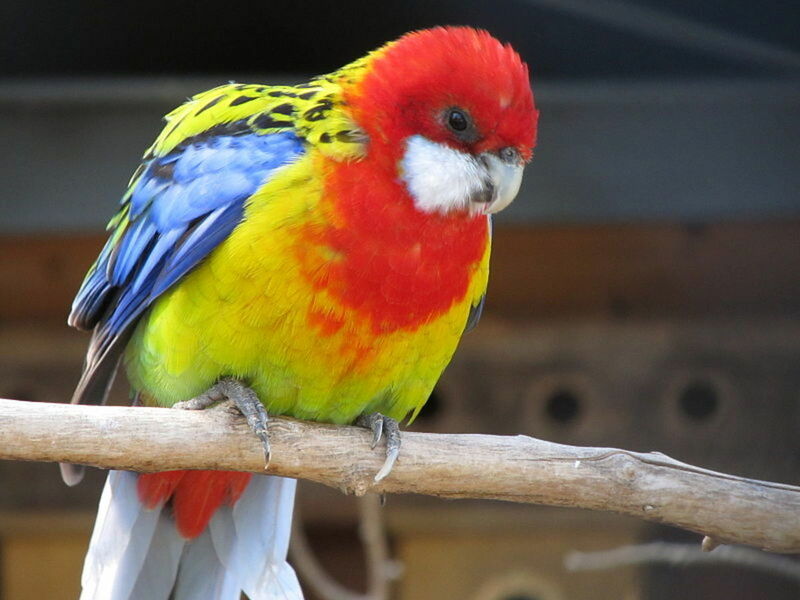 One of the most bred in captivity and loved bird by aviculturists in Australia but has surprisingly entered the endangered category of wild animals. Luckily recovery plans are on. They may be of varying colours like combinations of green, yellow and green, but males chest is mostly purple. Scarcity of water and food makes them to move from tropical savanna woodlands. They are basically seed eaters and make their nests in tree holes for breeding. Males are known for their courtship dance. 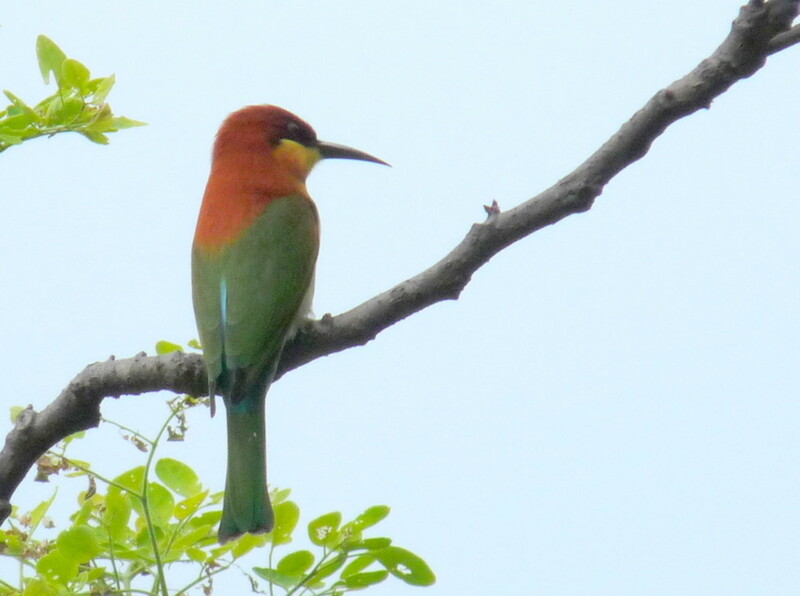 A very slender but richly coloured small bird, Chestnut headed Bee eater, is resident of Indian Sub-Continent and some adjoining countries in Southeast Asia. Recognised by the chestnut coloured head and crown, this tiny acrobatic bird has greenish breast and lower parts and its tail feathers are beautiful dull olive. They catch wasps, bees and dragonflies in the air. They stay in colonies on sandy banks near water. Which one of the 10 colourful birds did you like the most? CherylsArt, I am glad you liked the birds and the videos. We feel so near the nature on watching beautiful birds. Thanks for stopping by. I love seeing all the colorful bird photos and videos that you shared. In West Virginia, where I live, the colorful birds are the cardinal and the blue jay. orintologistlover, thanks for visiting the colourful birds that I chose for my Hub. I welcome your remarks. Have a nice day. Wow that Vulterine is very tall and blue I love the fact that you guys put the picture and facts some other sites I went to didn't have that,thanks for your hard work. Vishakha Bajaj, Thanks for visiting my Hub on birds. I am glad you liked the pictures. Have a nice day! 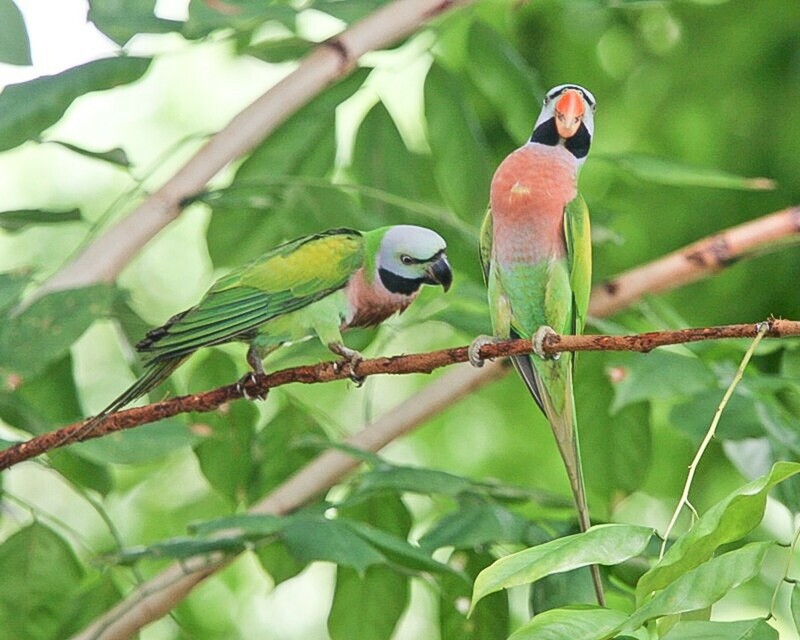 idigwebsites, Thanks for visiting my Hub on Colourful Birds. I agree with you that the plumage of male birds is normally more colourful. It may be helping them to attract the female birds. I am glad you liked the feathers of some of the birds. Have a nice day! pandula77, I am glad you liked the colourful birds. I am sure each one of us has some emotional response on seeing a coloured bird. Thanks for stopping by and have a nice weekend! A wonderful and a colorful hub! I always love bird watching and I get the same feeling when I watch this wonderful hub. Thanks for sharing. Thanks, aviannovice, I am glad that the birds enthralled you, which indicates that you love nature. Thanks for stopping by and have a good day. This is a very impressive selection. I like the fact that you chose birds from across the globe. 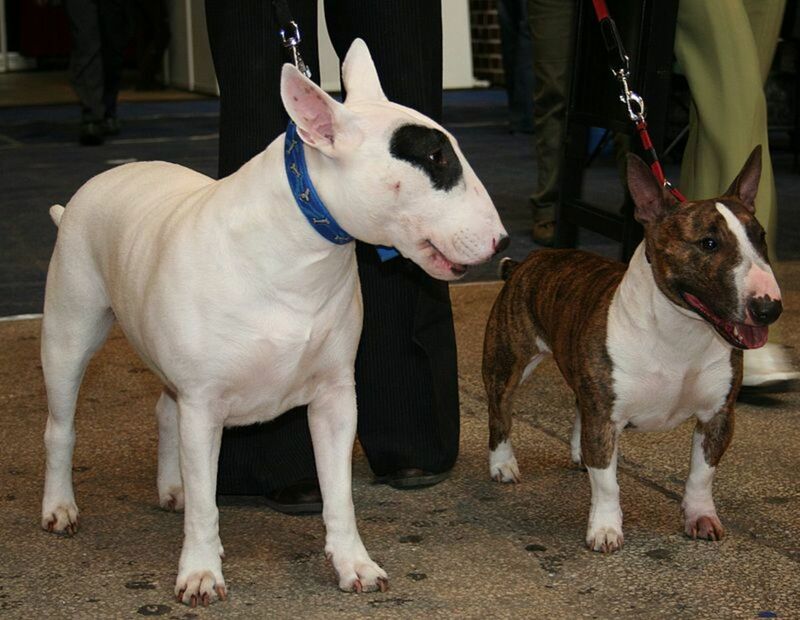 Thanks for taking the time to show the best of the best, and know that I was truly enthralled. Austinstar, It is so sad the cats prevent you from attracting birds. I am glad you liked the birds. Ppainted bunting is now nearly threatened but I would like to add this along with some others when I update my Hub late. Thanks of the interest shown in colourful birds. Ceres Schwarz, I am glad you liked the images. Rainbows have always been thrillers and so are colored birds. Thanks for taking interest in this Hub. Have a nice day! 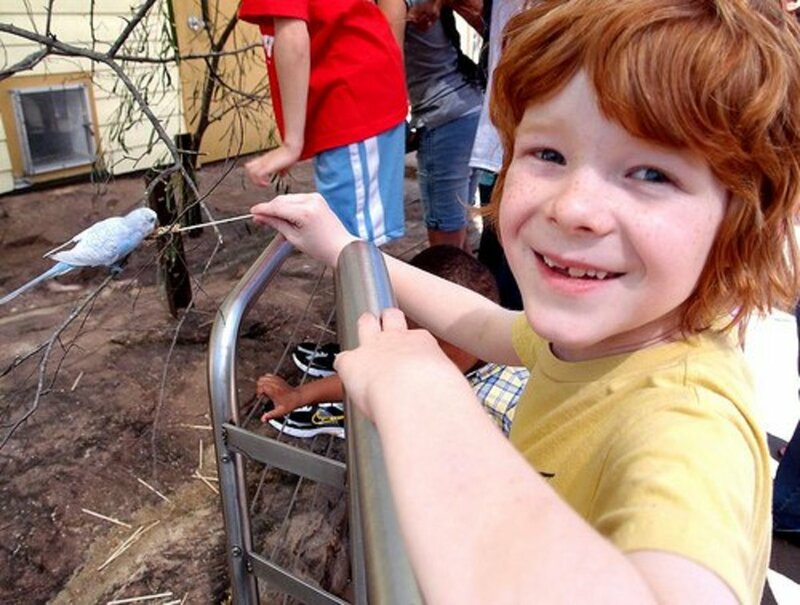 This is a colorful and detailed hub on birds. All the images of the birds were really lovely. There were so many different vibrant colors and they're really all so nice and some seem to have rainbow colors. I loved all the photos and videos! Good job on this hub. Birds are just so cool. I have a pair of red headed wood peckers in my front yard and live next to a wildlife preserve. I have seen the most colorful bird around these parts - he's called a 'painted bunting'. Absolutely stunning! Sadly, I cannot feed the birds to attract them as I have several cats roaming the neighborhood and they just love to hunt birds.